In addition to a wide range of Disney hotels, WALT DISNEY WORLD® Resort is surrounded by numerous hotels, condos and even rental houses. Learn more about these options and if they're right for your family. When visiting Orlando, which hotel you decide to stay at will make a big impact on your vacation. Choosing a hotel is so much more than whether or not you'll enjoy the property. 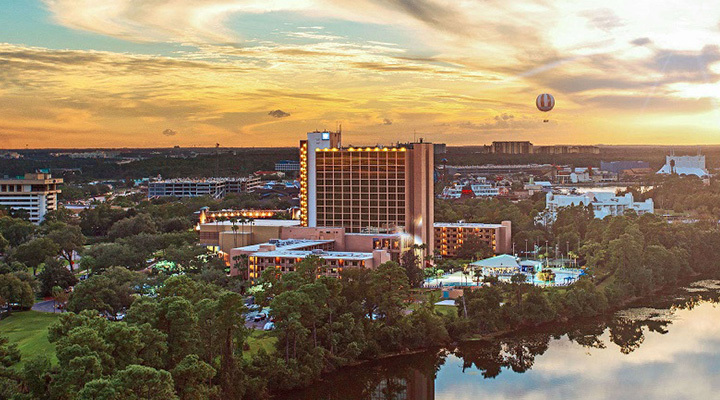 Proximity to the attractions you'll be visiting, amenities, cost and transportation options all should be determining factors when booking any of the Walt Disney World® Resort Area Hotels. When staying off-property, you'll find nearly every hotel chain imaginable, boutique hotels, small motels, condos and even house rentals. These options may have extra amenities like continental breakfast and complimentary shuttle to the Walt Disney World® Resort, but keep in mind that there is a lot more to consider. Here are some things to think about while researching Walt Disney World® Resort Area hotels for your vacation. If you are spending the majority of your time at Walt Disney World, then you'll likely want to stay on property. All of the Walt Disney World® Resort Hotels include free hotel parking and free transportation within the resort. They even include transportation to and from the airport! These are all extra costs that my not be taken into consideration when booking Walt Disney World® Resort area hotels. Even if your off-site hotel includes transportation to Walt Disney World, remember that there may be a good amount of extra travel time, shuttle times and space may be limited, and there may be parking fees. Another thing to remember if you are staying off-site during your Walt Disney World® Resort vacation is that you will not have access to a number of exclusive perks. For example, if you want to purchase a dining package, you can only do so if you are staying at one of the Walt Disney World® Resort hotels. Additionally, you'll only be able to make your FastPass+ reservations 30 days in advance, instead of 60 days in advance. And finally, you won't have access to the Extra Magic Hours at the parks that are only available to Walt Disney World® Resort hotel guests. However, if you are spreading your time between other Orlando attractions and are only doing a day or two at the Walt Disney World® Resort, an area hotel may be your best option. Check for things like free breakfast, parking fees and shuttle service to and from area attractions as well as the airport. You should also check to see if your hotel charges a resort fee. Be sure to check the maximum occupancy of rooms. Also, if you are thinking about a condo or home rental, watch for cleaning fees and remember that most will not offer housekeeping service during your stay. There are some great Walt Disney World® Area hotels with comfortable accommodations, convenient amenities and incredible swimming pools. Some hotels even have water parks! You can view our Walt Disney World® Area hotels on our site, or you can call our reservation agents at 855-GET-AWAY.